A handsome chest of drawers. 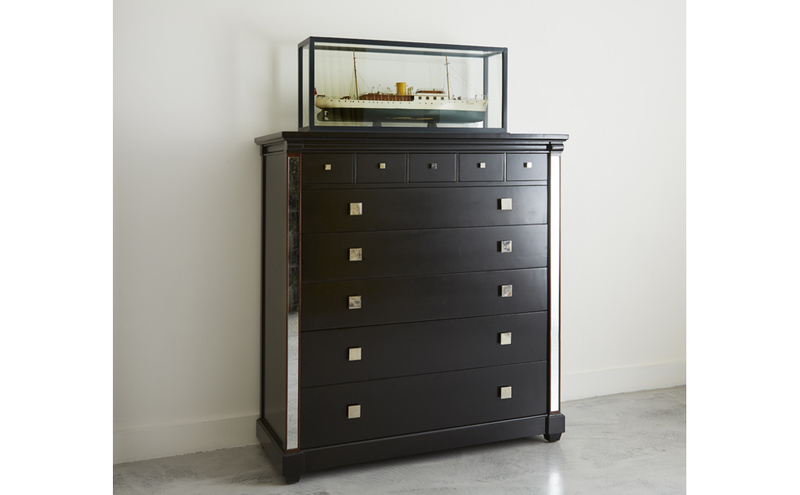 A handsome chest of drawers here shown finished with mirrored side panels and drawer pulls. There are five large drawers, and an additional five small drawers.